Lat: 53° 0' 2.45" Long: -8° 53' 42.54"
The woodland of Attyslany is located in Co. Clare, off the R460 road south west of Gort town, close to the Clare/Galway county boundary. 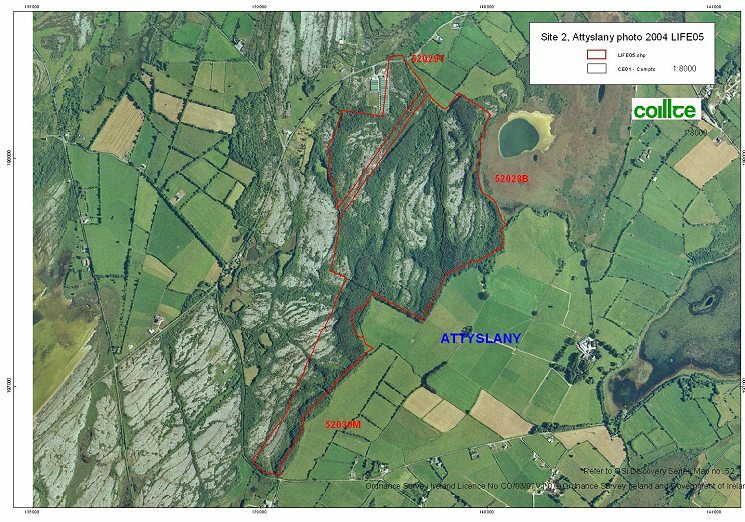 Attyslany is the third largest project site and consists mostly of limestone pavement, at least 50 hectares, with occasional pockets of deeper soil throughout. 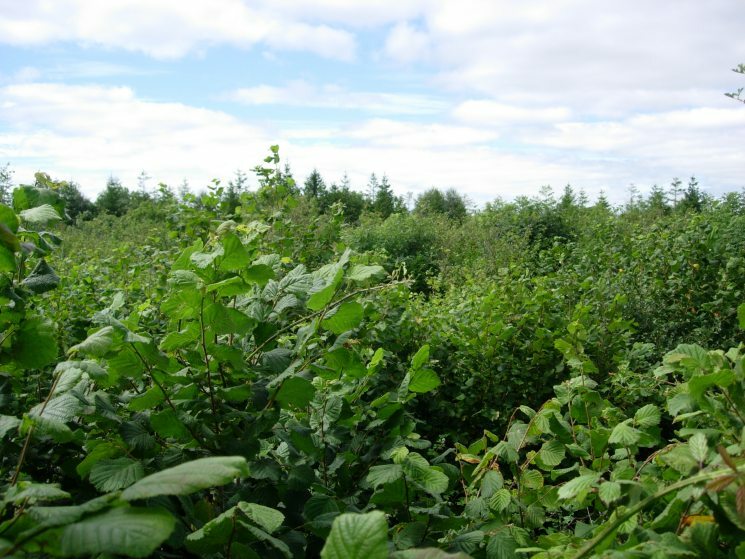 The site has been managed for forestry for some time and this has provided a degree of protection to the developing woodland communities as farm grazing has been limited, relative to other Burren locations. Vegetation cover varies depending on the substrate. 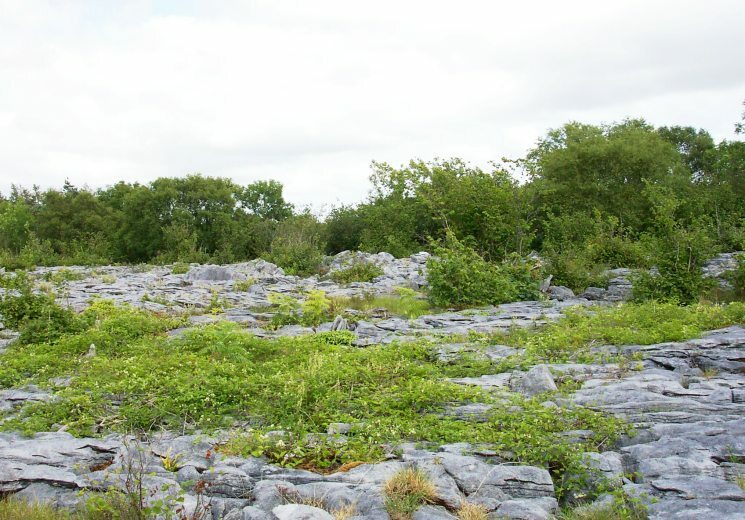 There is a species-rich native scrub-woodland community which has developed on the unplanted areas of intact limestone pavement wherever soils allow. Prior to forest plantation on the deeper soils (with conifers and mainly non-native broadleaves typically beech) the 'original' pine-hazel woodland cover dominated this part of the Burren area. 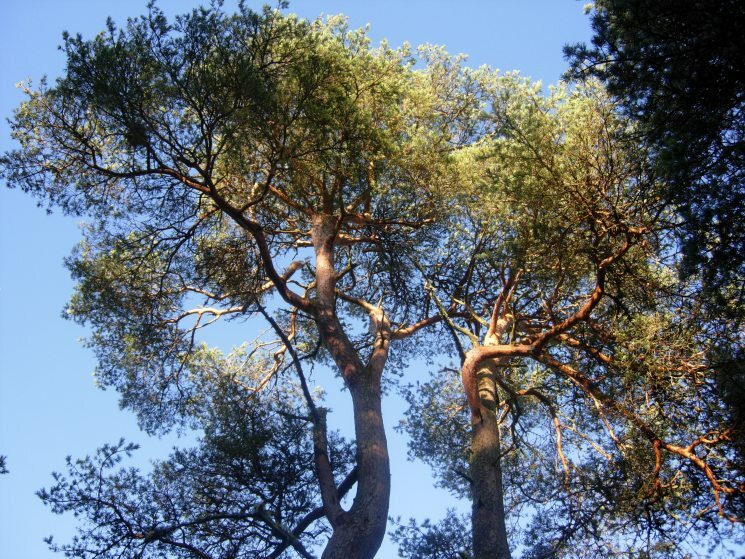 There are occasional Scots pine, which will be retained within the project. There is limited ground flora below these plantations, although some rare bird's nest orchid is found. 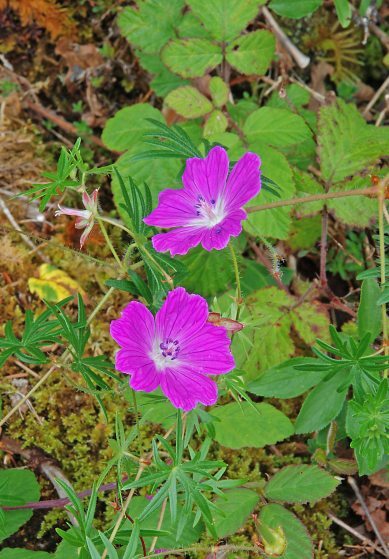 The ground flora and seed banks retained at Attyslany include herb Robert (Geranium robertianum), wild garlic (Allium ursinum), enchanters nightshade (Circaea lutetiana) and wood avens (Geum urbanum). 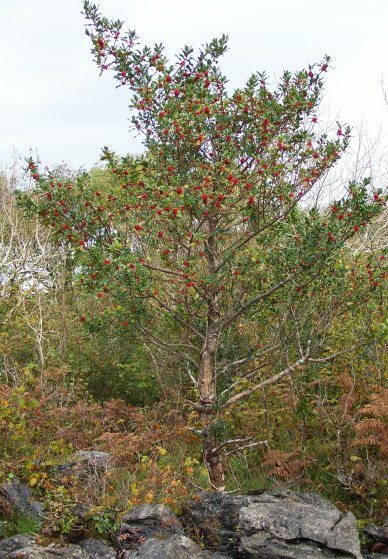 The restoration techniques will involve the removal of the main stands of conifers, and the subsequent natural regeneration of these areas from the ample native seed source available, particularly ash and hazel. This will greatly enhance the natural integrity, conservation and recreational value of this important site. In addition to the above management, approximately seven hectares of the woodland will be manually planted with yew tree cuttings, sourced from the local yew genotype, propagated in Coillte nurseries and transplanted during the four year project.